John writes: Do Facebook fan pages and other likeable pages (including those “what color is” quiz pages) get to see my Facebook friends list? Hi John! If you “like” a fan page on Facebook, the owner of that page will (of course) see that you’ve liked it, and there’s nothing stopping them from clicking through to your Facebook profile and checking out whatever’s publicly viewable on your page—including, potentially, your Facebook Friends list. As with most everything on your Facebook profile (a.k.a. 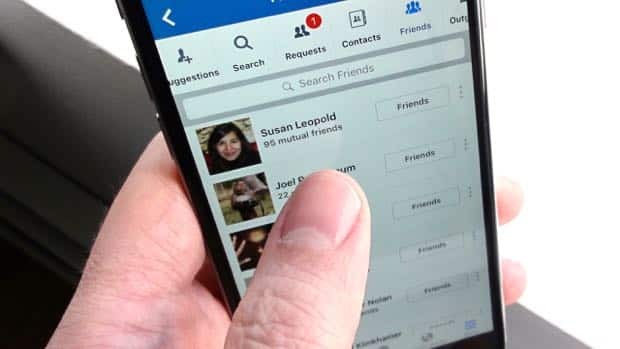 your “Timeline”), the privacy settings on your Friends list can be tweaked—and with the right setting, no one will be able to see your Friends list, including the owners of Facebook pages you’ve liked. Visit Facebook on a desktop browser, go to your profile page (click your name in the top-right corner of the screen), scroll down to the Friends module in the left column, and click the “Friends” heading. 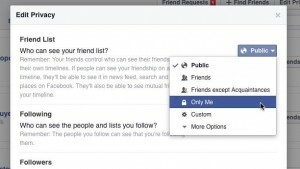 Now, you should be looking at a big list of your Facebook friends. In the top-right corner of the list, there should be an “Edit Privacy” button; go ahead and click it. If you haven’t done so already, Facebook offers a handy “privacy checkup” feature that’ll guide you through the most important Facebook privacy settings. On Facebook for desktop, just click the padlock icon on the top-right corner of the screen and select “Privacy Checkup.” On the Facebook app, tap the “More” button (either in the bottom-right corner of the screen on iOS, or the top-right corner for Android), tap Privacy Shortcuts, then tap Privacy Checkup. Click here for more Facebook tips!